My appointment was at 8:00 and I was all done by 8:45. This included my cleaning , Xrays, and the doctor checking everything. You can't ask for better than that. Very thorough, kind and attention to concerns. Great office space with massaging chairs! He was very thorough explaining the possible issues that might be necessary. He was very reassuring with his technique. Although, Dr Docchio, office is busy, I have run into long waiting periods. He is kind ,and caring person. His support is also attentive and would do almost anything to to meet your needs. 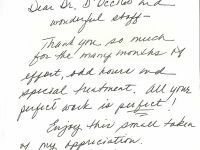 The dental hygenist who cleaned my teeth did a really thorough and effective job, unlike other dentist offices i have been to. All of their equipment is up to date and they give you a great run down of how your teeth are doing via computer screens etc. Plus, she was really nice and interesting to talk to. He is a perfectionist and does not stop until everything is perfect! I would absolutely recommend Dr. Docchio. He's very knowledgeable and keeps current with the improvements/advances in dentistry. He's also very meticulous and thorough, and pays attention to his patients needs. He also has a wonderful staff of hygenists. 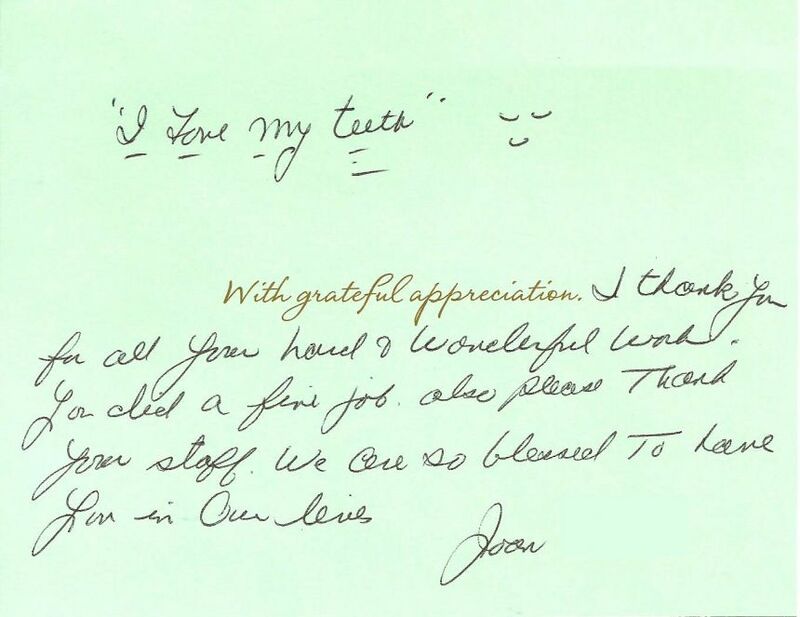 Very professional, skilled hygienist and dentist along with excellent customer service with seasoned staff. 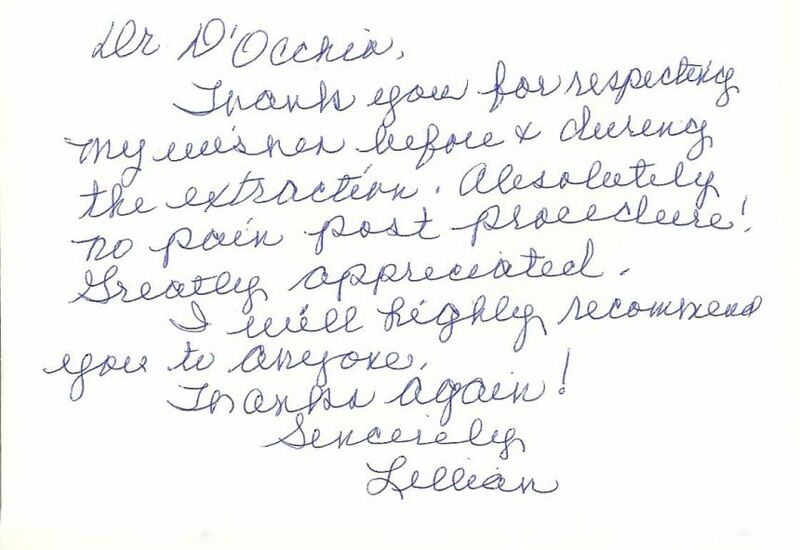 Everyone goes above and beyond to make patients comfortable and accommodated. Amicable, competent, and professional. Excellent gentle hands. Meticulous attention to detail. Highly recommended without reservation. 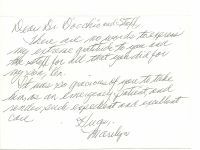 Dr. D'occhio and his staff have always gone above and beyond to be accommodating and friendly to everyone. Appointments and dental work have been painless and well executed and the conversation is always fun and welcome. He is knowledgeable, personable and efficient. Also has a great staff. I have always been really comfortable going there since took over my old dentist's practice. 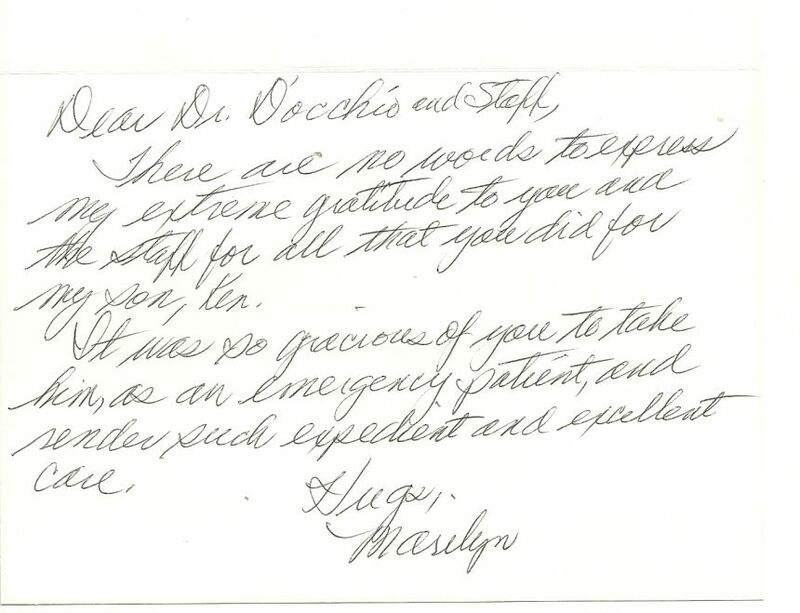 Dr. Docchio and staff are very professional. They are friendly, helpful and appointments are always on time. They are thorough and I never feel rushed. I am happy with the excellent care I have received. First time visit and I was very impressed with the level of care and attention I received. The practice is very well equipment with the latest technology to support a high mix of needs. I have been looking for a comfortable, relaxing and easy going practice that takes the time with its clients. He's gentle, considerate, and an excellent dentist who genuinely cares about your well being. Nice office. Easy parking. Friendly greeting. Good service. Professional treatments. Dr. Docchio is conservative and does not give treatment that is not necessary. He knowledge is expansive and he uses up-to-date technology. Any work he has done on me has solved the problem without any issues. 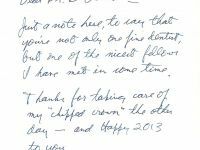 He is very concerned about patient's dental health and also makes sure those in his office are providing excellent services. 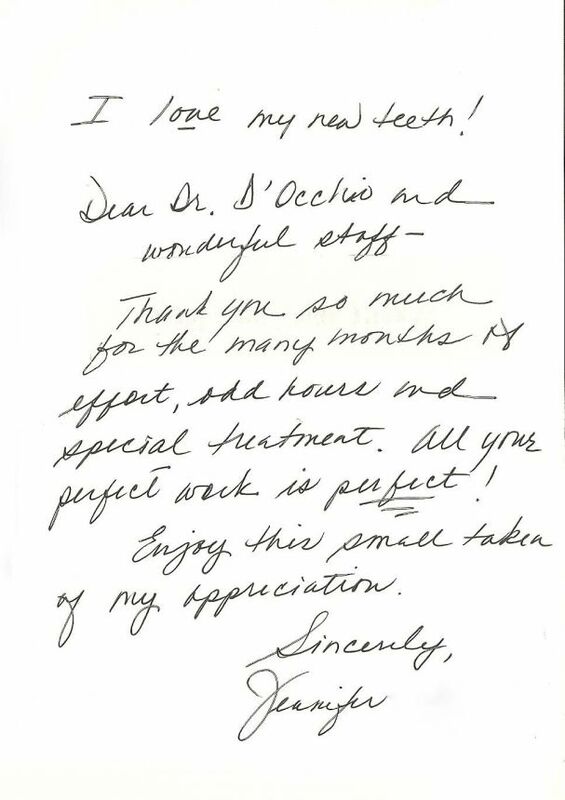 Dr. D'Occhio and his whole staff are knowledgeable and friendly. they review x-rays with you and discuss all treatment options. Massage chairs and education. 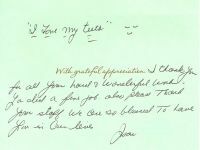 I really liked that my teeth, gums and care were explained so I now understand what they did and why. I better understand cause and effect when it comes to care. He is thorough and professional. Spends the time to explain procedures he recommends so that you understand all your options. Wonderful Dentist and lovely staff. I am very happy with this practice. Very friendly atmosphere. Had great cleaning with the hygenist, Had to have a 2 tooth cap reglued and that was rather pricey. Did not like that. But Dr Docchio is very nice and explains everything what he is doing. A definite keeper. With grateful appreciation, I thank you for all your hard and wonderful work. You did a fine job, also please thank your staff. We are so blessed to have you in our lives. There are no words to express my extreme gratitude to you and the staff for all that you did for my son, Ken. 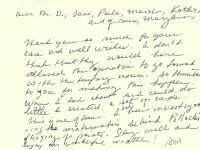 It was so gracious of you to take him, as an emergency patient, and render such expedient and excellent care. Thank you so much for the many months of effort, and hours and special treatment. All your perfect work is perfect! Enjoy this small token of my appreciation. Thank you for respecting my wishes before and during the extraction. Absolutely no pain post procedure! Greatly appreciated. I will highly recommend you to anyone. Thank you all for taking care of Beth, and me too! As always you all have been a pleasure to be associated with. And at all times you are all competent, friendly and like family to us. Thanks for all your kindness and respect. Thank you so much for your care and well wishes. I don’t think that they would have allowed the operation to go forward with the temporary crown. So thanks to you for making this happen. When I had chemo and could do little I created a set of cards. This is one of them. I had been investigating the mathematics behind Pollock’s flinging of paints. Stay well and enjoy our wonderful weather! 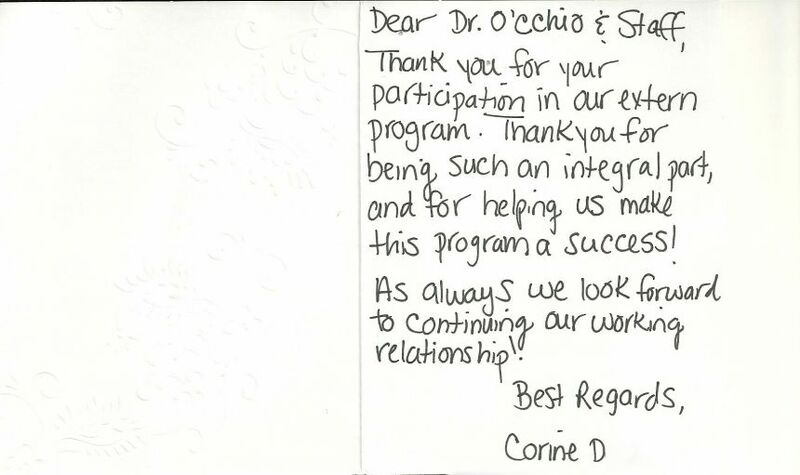 Thank you for your participation in our extern program. 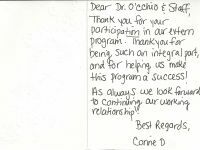 Thank you for being such an integral part, and for helping us make this program a success! As always we look forward to continuing our working relationship! 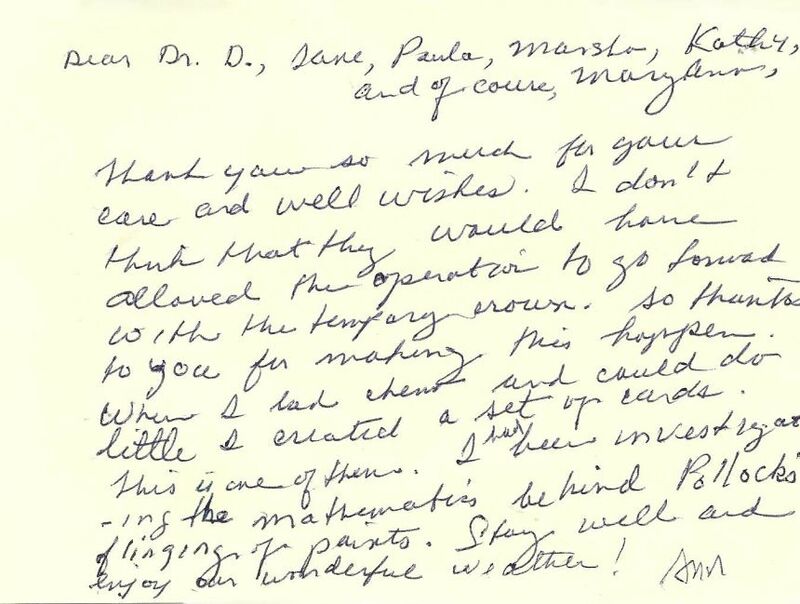 Just a note here, to say that you’re not only one fine dentist, but one of the nicest fellows I have met in some time. 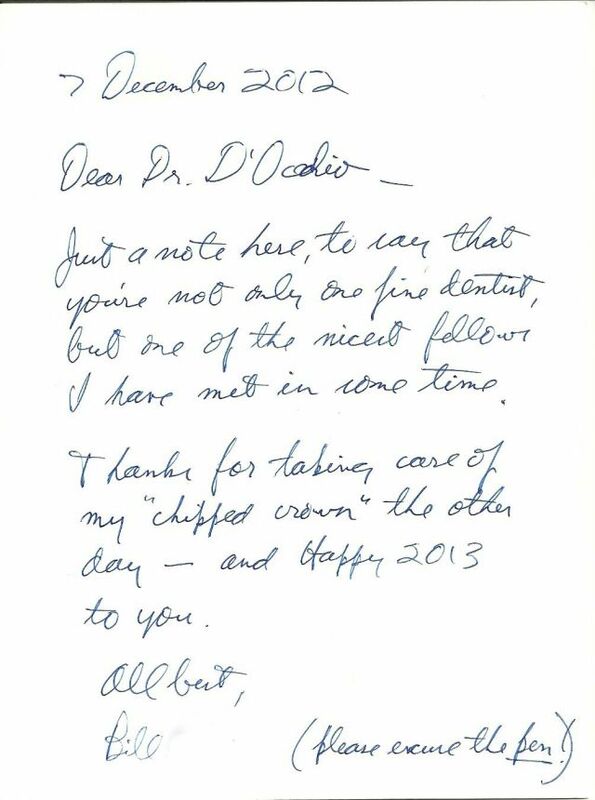 Thanks for taking care of my "chipped crown" the other day – and Happy 2013 to you.